Manhattan's top prosecutor said Monday he plans to re-try the Etan Patz murder case, which ended in mistrial earlier this month after the 12-person jury told a judge for the third time they could not reach a unanimous decision on whether 54-year-old Pedro Hernandez killed the 6-year-old boy in 1979. Manhattan District Attorney Cy Vance made the comments on MSNBC's "The Cycle." He said he intended to officially announce plans to re-try the case at a court date in June. At the time of the final deadlock, 11 of the jurors in the recent trial believed Hernandez had kidnapped and killed Patz in SoHo as the boy headed to school. Only one juror said he couldn't overcome reasonable doubt, citing Hernandez's documented mental health issues, the bizarre nature of Hernandez's confession to police and concerns about how that confession was attained. "I think the evidence put in by our prosecutors was compelling and was clear," Vance said Monday on MNSBC. "It's a challenging case, I've never said otherwise, but it's a case we believe should be prosecuted. That's why we did, and in our system it happens from time to time that jurors cannot be unanimous and this was one of those cases." Harvey Fishbein, Hernandez's defense attorney, told NBC 4 New York Monday, "I have not received any official notification but if the D.A. 's office elects to retry the case, I assure you we will be ready." The jury of five men and seven women labored over their deliberations for more than two weeks and 115 hours, asking for reviews of exhibits and hours of testimony from key witnesses in what became the longest New York City criminal trial deliberations in decades. The judge granted a mistrial May 8 after jurors said for the third time they could not agree on a verdict. Twice before the jurors had said they were deadlocked but were ordered to keep deliberating. Stanley Patz on Mistrial: "Pedro Hernandez Is Guilty"
Hernandez was a teenage stock clerk at a convenience store in Patz's neighborhood at the time he disappeared. After having never been a suspect in the case, he confessed to the crime in 2012 in a case that galvanized the missing-children's movement and confounded law enforcement for decades. The little boy's body was never found, nor was any trace of clothing or his belongings. No physical evidence tied Hernandez to the boy's disappearance or death. Speaking to the media after the mistrial was granted, Etan Patz's father, Stanley Patz, said the evidence and testimony presented over the months-long trial convinced his family Hernandez was "guilty of the crimes to which he has confessed beyond any reasonable doubt." 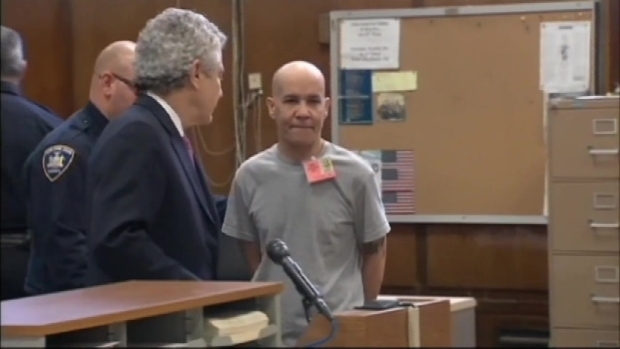 A judge declared a mistrial in the Etan Patz murder case after the 12-person jury, deliberating for an 18th day, sent him a note for the third time saying they could not agree on whether 54-year-old Pedro Hernandez killed the 6-year-old child in 1979. "The family of Etan Patz has waited 36 years for a resolution as to what happened to our sweet little boy in 1979," the father said. "Let me make very clear that we are frustrated and very disappointed that the jury has been unable to come to decision. Our long ordeal is not over." He said in a statement Monday, "We are pleased that the D.A. 's office is willing to expend the time and energy to retry Pedro Hernandez." In a statement after the mistrial, Vance said the challenges in the Patz case were "exacerbated by the passage of time," but he said he firmly believes "there is clear and corroborated evidence of the defendant's guilt beyond a reasonable doubt." Speaking to MSNBC Monday, Vance said the passage of time, while sometimes difficult to manager in a courtroom, should not deter the prosecution from helping get families closure. "Victims should not believe that law enforcement forgets about them or their families simply because of the passage of time," Vance said. Jurors heard from 56 witnesses -- just nine of those for the defense -- during the 10-week trial, but the key issue was statements from the alleged killer himself. Police learned that he'd told people years before on three occasions that he'd killed a child in New York. Then he confessed to police he'd choked Patz and left his body in a box in an alley. Father of Etan Patz on Mistrial: "Our Long Ordeal Is Not Over"
"The family of Etan Patz has waited 36 years for a resolution as to what happened to our sweet little boy in 1979," said Stan Patz after a mistrial was declared because one holdout could not convict suspect Pedro Hernandez. " We now have had about three months of trial testimony and jury deliberations, let me make very clear that we are frustrated and very disappointed that the jury has been unable to come to decision. Our long ordeal is not over." Prosecutors argued an alleged confession to a prayer group Hernandez made shortly after the boy's 1979 disappearance trumped the other accounts. The defense said the admissions were the fictional ravings of a mentally ill man with a low IQ; they also pointed the finger at another potential suspect. Patz's photo was one of the first on milk cartons. The day he went missing, May 25, was later named National Missing Children's Day.